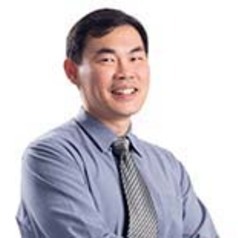 Calvin WL Ho is Assistant Professor at the Centre for Biomedical Ethics at the Yong Loo Lin School of Medicine, National University of Singapore (NUS). He holds a doctorate in juridical science from Cornell University (New York), and was also trained in law at NUS and University of Cambridge (England). In addition, he read sociology and economics at the London School of Economics and Political Science, and at the School of Oriental and African Studies (University of London). Calvin is qualified as Advocate & Solicitor of the Supreme Court of Singapore, and as Solicitor of the Senior Courts of England and Wales. He has practiced law in London and Singapore, and serves as an Assistant Director with the Legal Aid Bureau (Ministry of Law), and a member of the Singapore Nursing Board. Prior to his current appointment, he was Senior Research Associate (from October 2001 to May 2011) with the Bioethics Advisory Committee, an expert body appointed by the government of Singapore to provide advice and recommendations on human biomedical research. Calvin is also Co-Head of the World Health Organization Collaborator Centre on Bioethics in Singapore, and Co-Head of the Accountability Policy Task Team of the Global Alliance for Genomics & Health. He is an Ethics Board member of Médecins Sans Frontières (Doctors Without Borders), a member of the Medicines in Health Systems thematic working group of Health Systems Global, and a Research Associate with The Ethox Centre, University of Oxford. In addition, Calvin is a member of the National Transplant Ethics Panel and advisory committees on genetic testing and transplantation of the Ministry of Health, and serves as a member of the Bioethics Committee of Ng Teng Fong General Hospital, and a member of the Paediatric Ethics and Advocacy Centre, National University Hospital.